As we recently mentioned, Jarrod and I were touched by the story of a little boy called Harri Gillen whose life (and the lives of his family) was turned upside down when he was diagnosed with a rare kind of cancer. We wanted to help in any way that we could, so we decided to set aside £100 from every bespoke staircase and fitted furniture project that we worked on during the summer to raise money for an once-in-a-lifetime holiday for this brave boy and his lovely family. 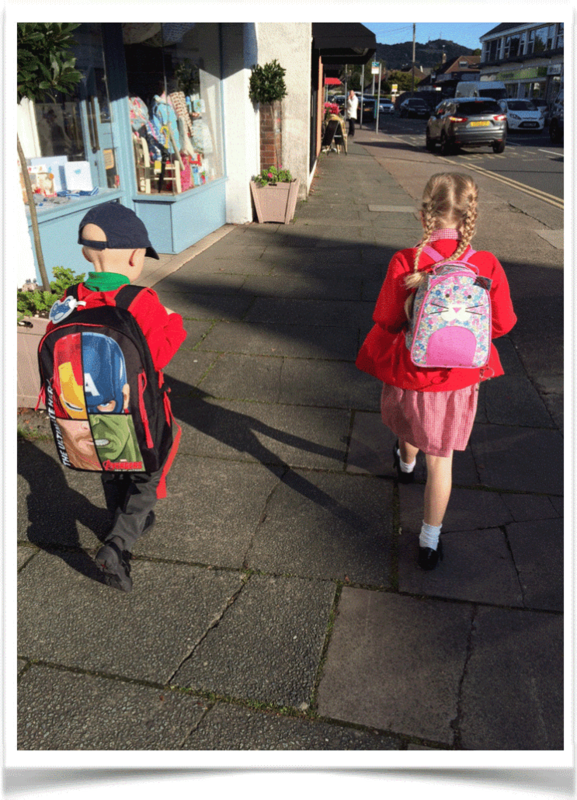 We thought we’d give everyone an update on how things are with Harri and how much we raised. 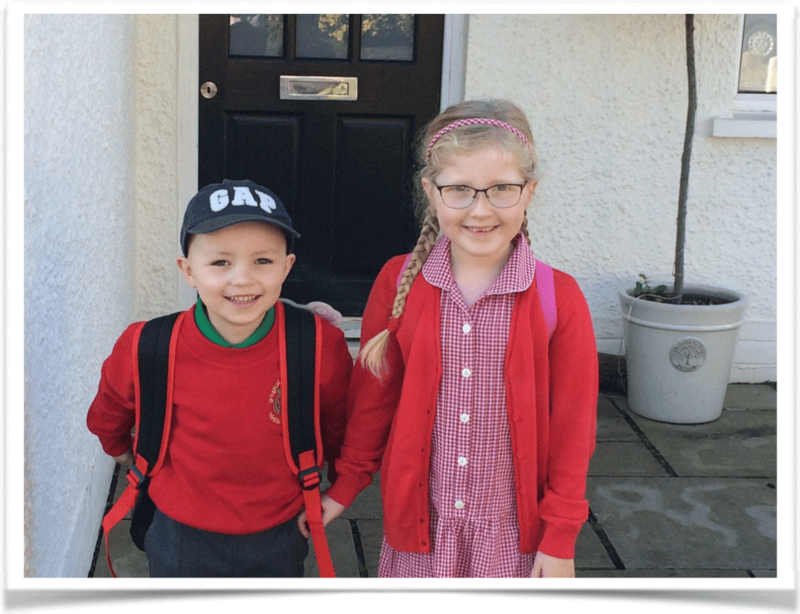 Harri School 2“Harri received his last treatment at the end of June and his most recent MRI scan showed no evidence of residual or recurrent disease and he is now classed to be in remission. He will need appointments with his consultant every six weeks and scans (of his chest and arm) every three months and will be monitored for at least 10 years. Every time a scan is due I know I’m going to be petrified but we need to live each day at a time and enjoy every moment and believe it will all be okay. Proving that he’s not only incredibly brave but also amazingly resilient, Harri managed to accomplish what most adults would struggle with; he completed the Cardiff 2k Fun Run. 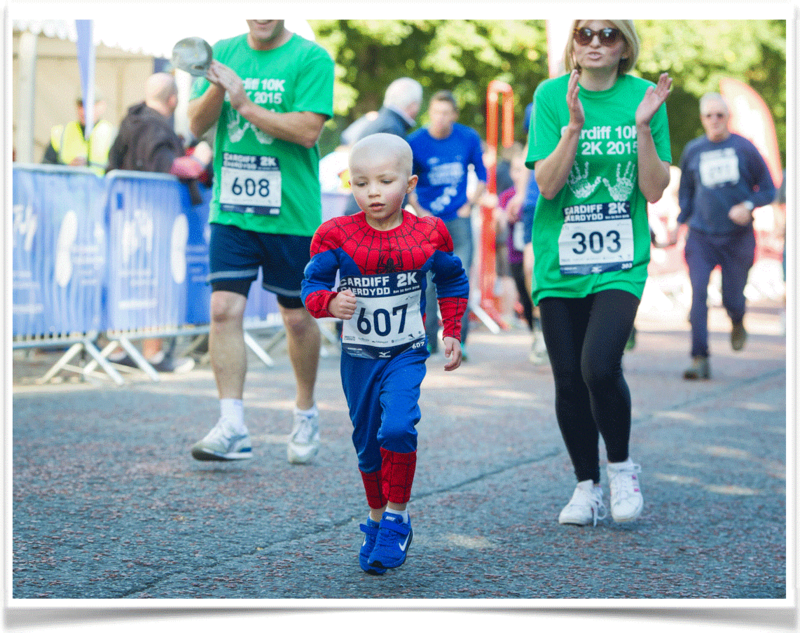 While his parents were concerned that he would only be able to walk it, Harri ran his heart out and managed to finish in 15 minutes, all while dressed as Spiderman! As you can imagine, clapping him over the finish line was an unforgettable moment for his parents. Having put aside £100 per job throughout the summer, we created a pot of money for little Harri and we’re proud to say that we raised a total of £3,000! 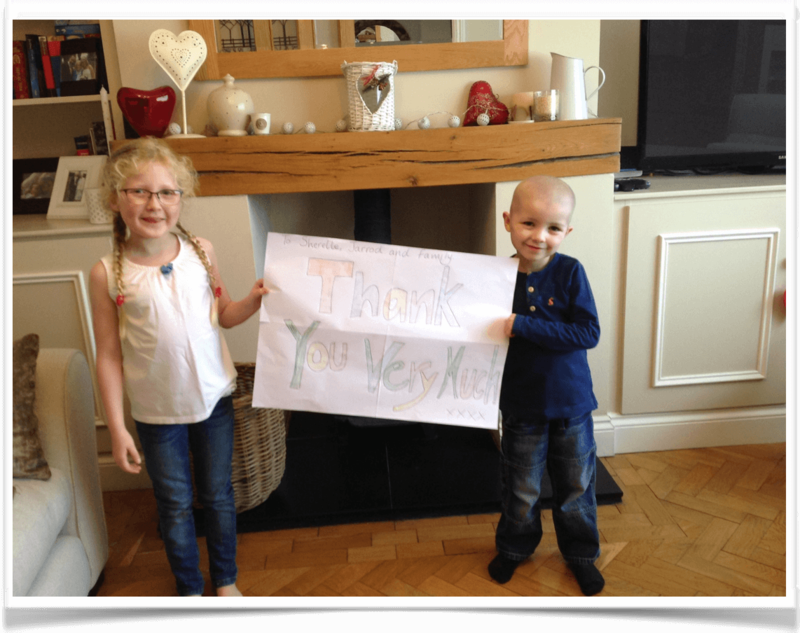 When Jarrod popped the cheque round to their house last weekend the whole family were delighted and sent us a great photo of the kids with their ‘Thank you’ banner. Now Harri, his sister Ellie, and his Mum and Dad can go on a wonderful holiday to Disneyland in Florida next spring thanks to the kids cancer charity. Jarrod and I couldn’t be happier for Harri and his family and we look forward to keeping everyone updated on his progress and their fantastic holiday next year.